Following on from her workshop with The City Centre / New London Architecture, architect Gabriella Herrick led a group of young students through a ‘history of structure in architecture’ session at KLC Design School. 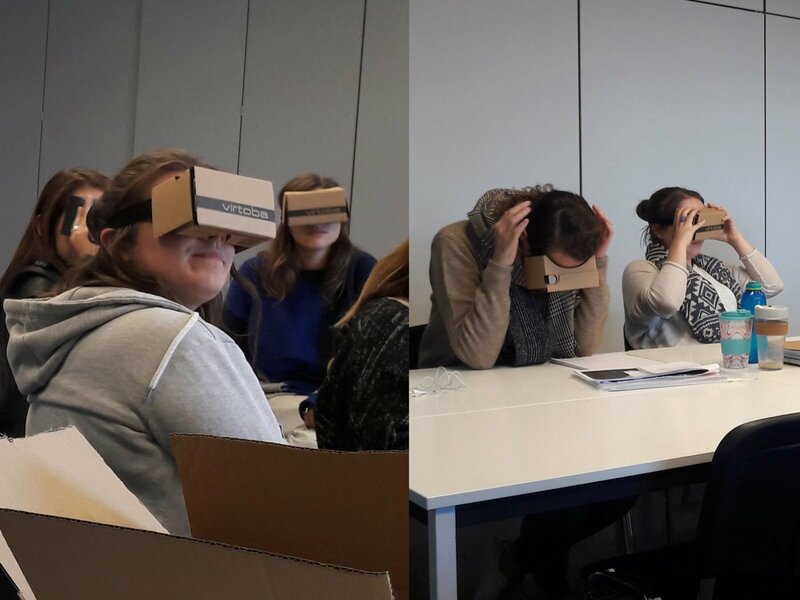 Students were introduced to a timeline of historic structures across the globe while they were offered an opportunity to ‘walk’ through them via VR headsets. The group explored early structures such as the Pyramids, Stonehenge, the Han Dynasty rammed earth watch towers, the rock cut temples of India, excavated Yaodong cave dwellings and Dougong timber temples. They also ‘walked through’ the ancient world, including the Parthenon and Pantheon; the students examined the implementation of defensive architecture through the Hadrians Wall, the Great Wall of China and a series of medieval European castles. Students experienced the rise of the Gothic and the Renaissance through the choir at Saint Denis Abbey and the dome at Florence Cathedral, continuing through to the grandeur of the English Baroque to the Georgian period. 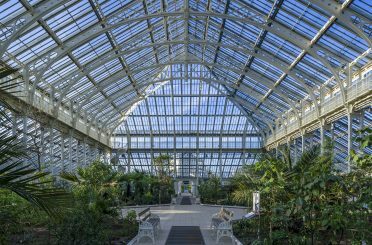 The innovation of the industrial revolution was witnessed through structures like the Crystal Palace and Temperate house, then onto the intricate detailing of Art Nouveau buildings and the rise of Modernism. Le Corbusier’s 5 points of architecture were discussed while virtually visiting the Unité d’Habitation. The second part of the 20th century covered postmodernism, high tech and the rise of structures including steel frame and glulam timber. Having galloped through 5000 years of architectural history, students were then quizzed on their ability to recognise the date and period of many the structures and describe the construction of the buildings witnessed in class.